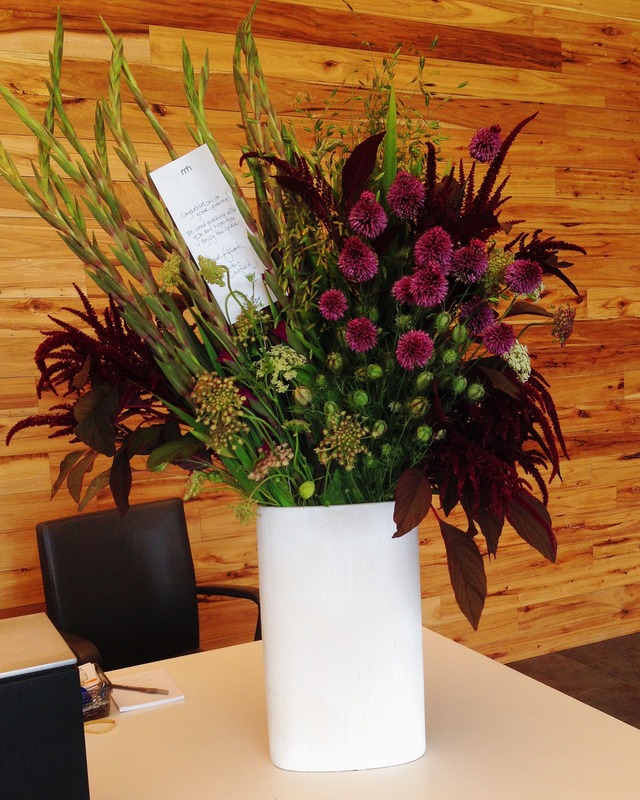 Happy Friday everyone! 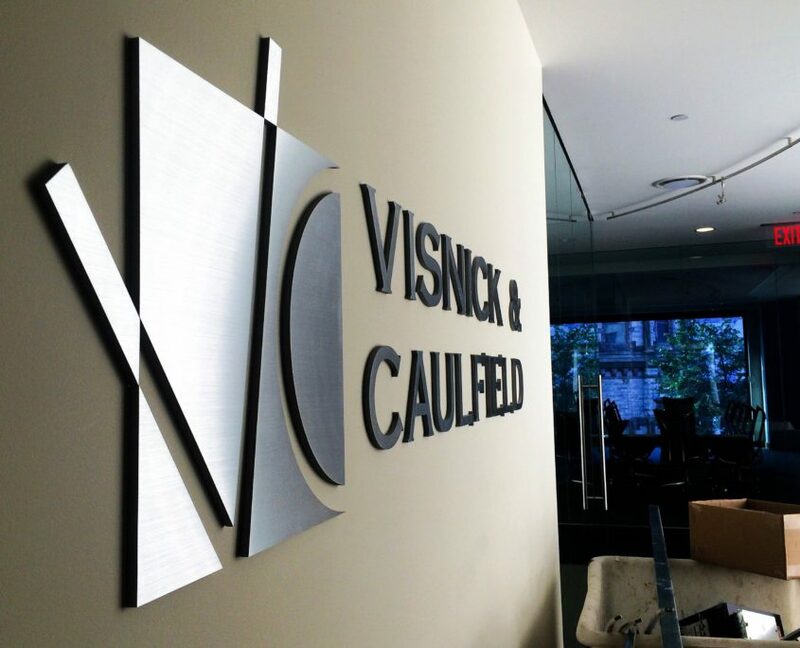 Take a look at what happened in and out of the office this week at VC. 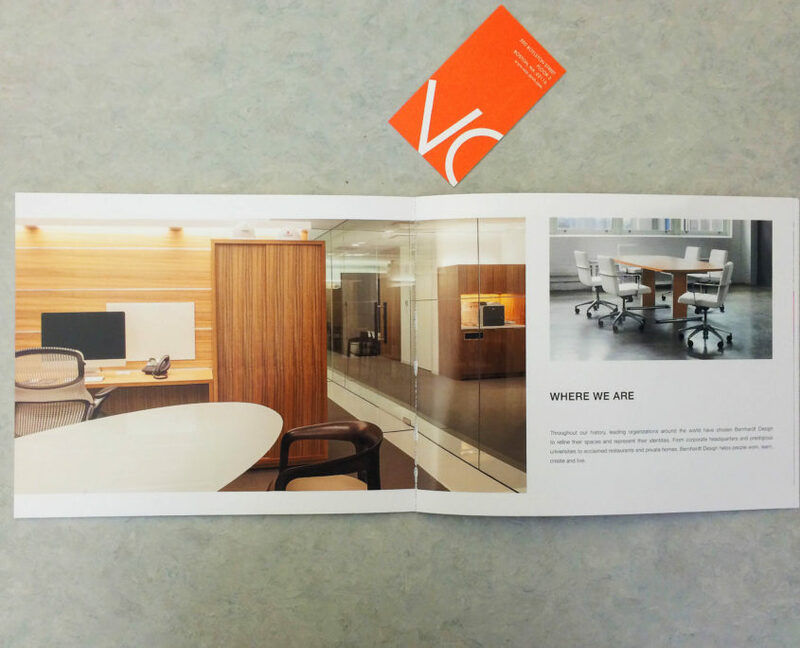 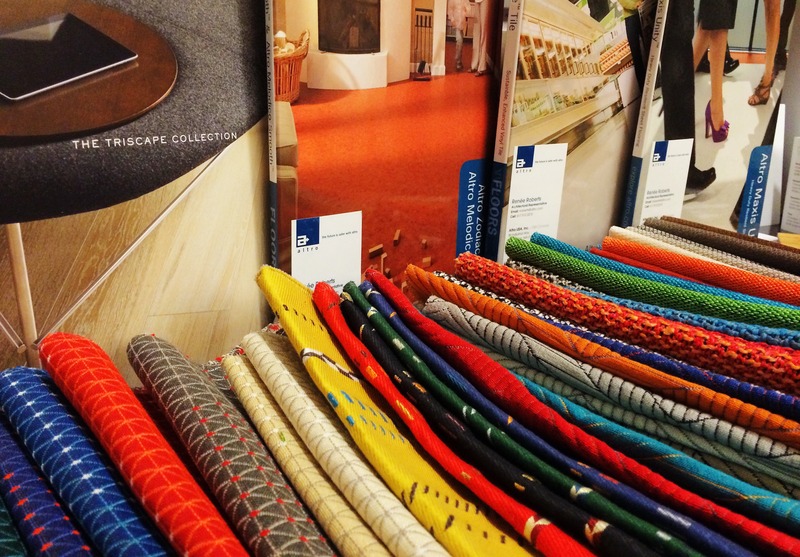 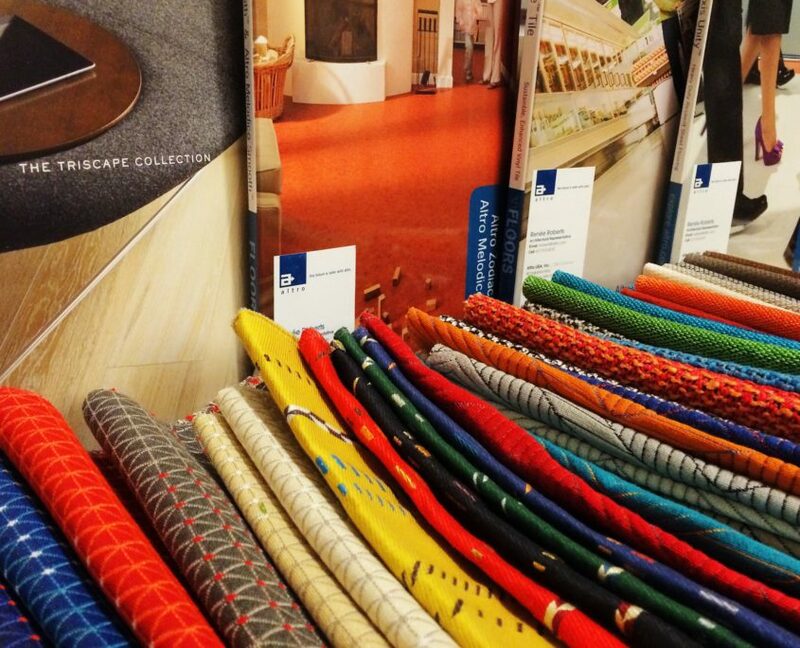 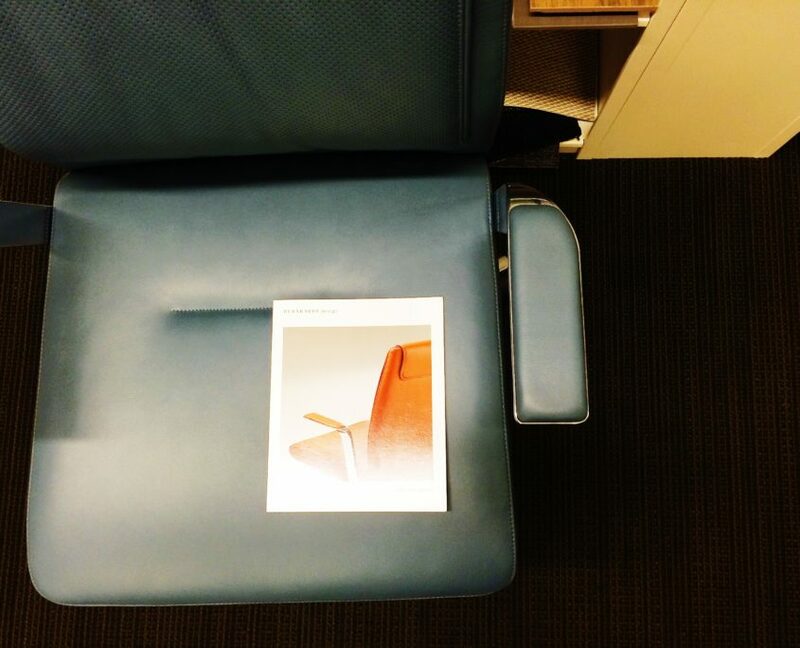 Our project for a local private equity firm was featured in the Bernhardt Design catalog. 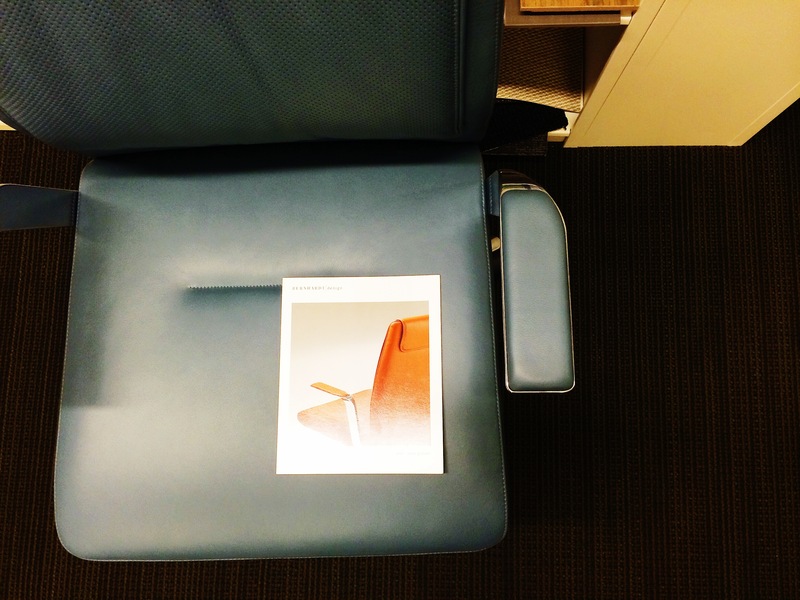 Speaking of Bernhardt, we have one of their fabulous Alta chairs hanging out in our library this week. 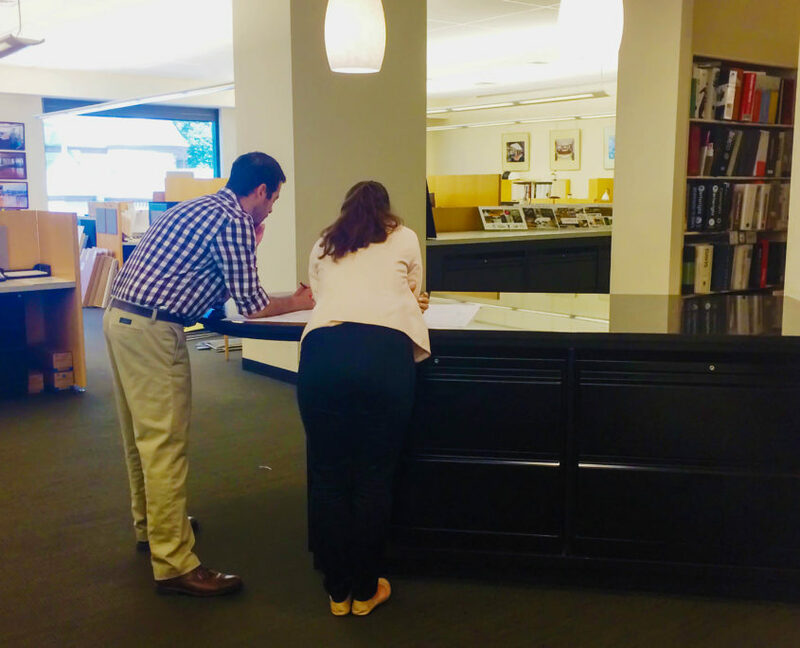 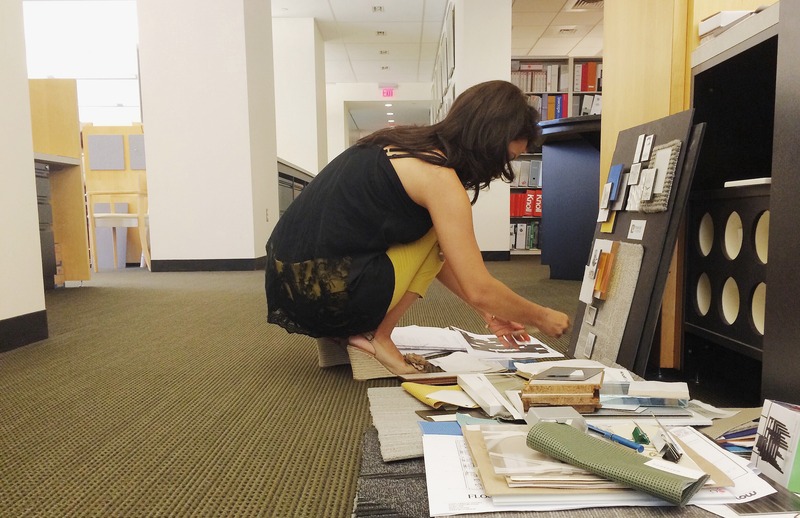 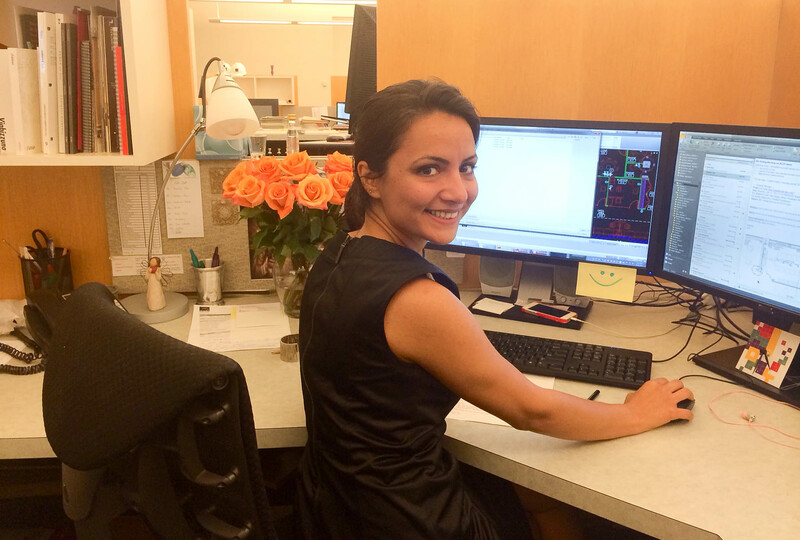 One of our summer design interns, Paige, is working on a project with senior associate Scott. 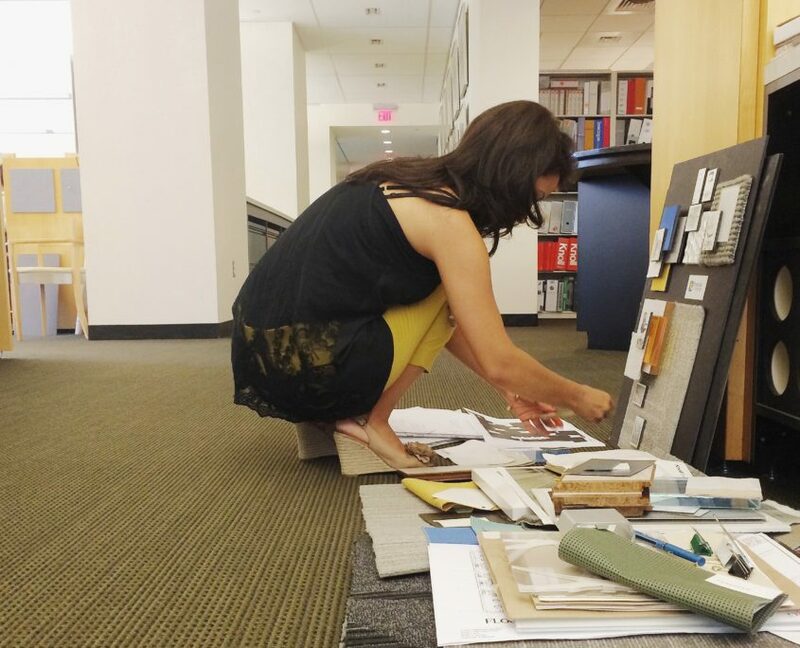 They make for a dynamic designing duo. 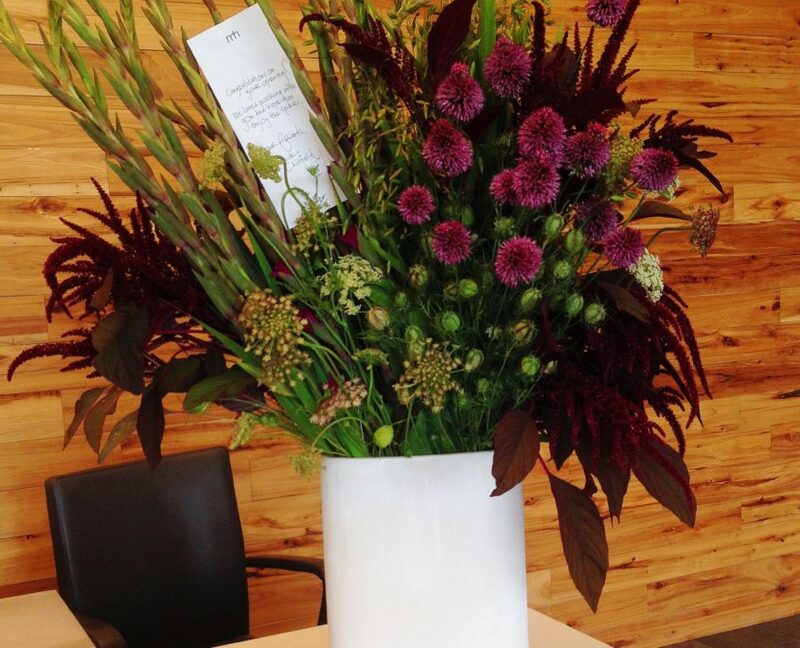 The space we designed for Keurig Green Mountain officially opened their doors on Monday and to celebrate, we sent them this gorgeous flower arrangement from the talented Marc Hall Design. VC designer Faegheh spent time working on a design development package for one of her current projects. 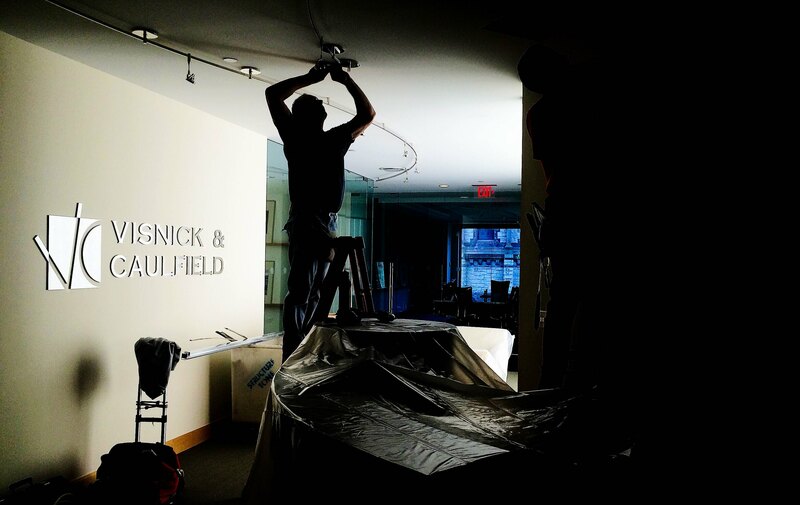 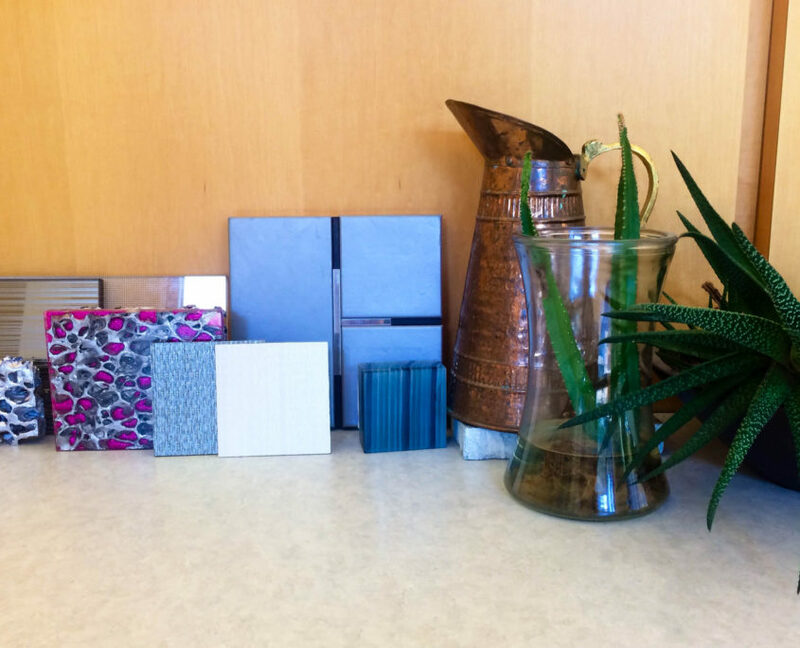 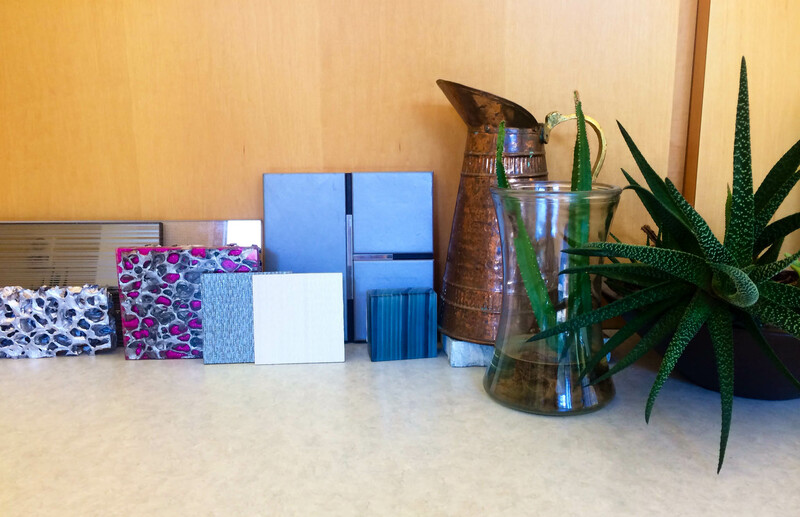 We’re installing a new feature in our office lobby and can’t wait to see the final results. 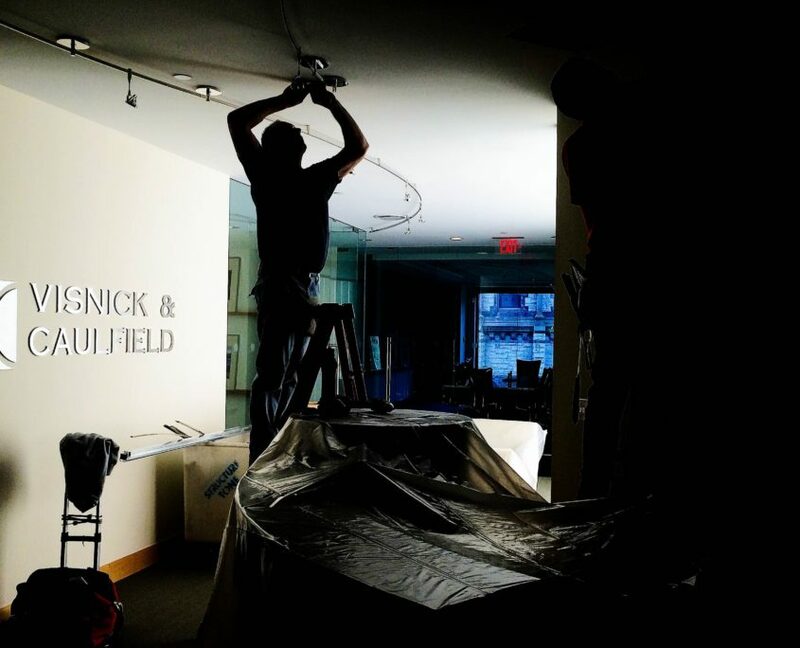 The project involves bright LED lighting. 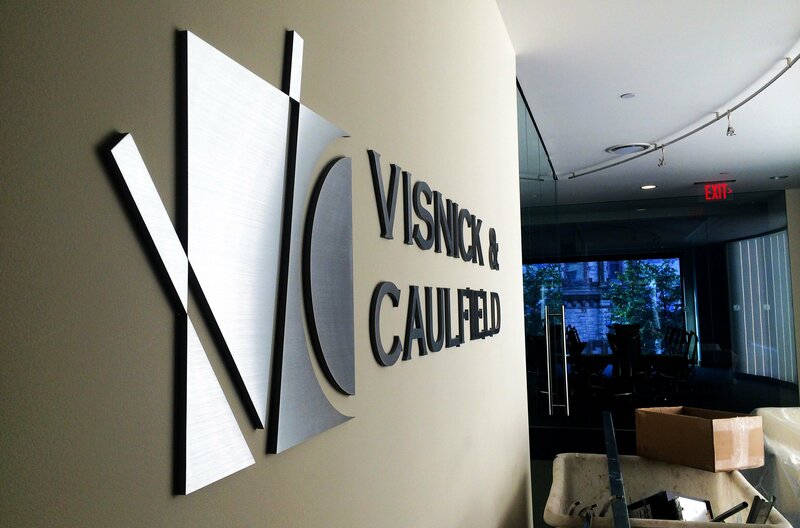 We’re loving how it illuminates our stainless steel logo. 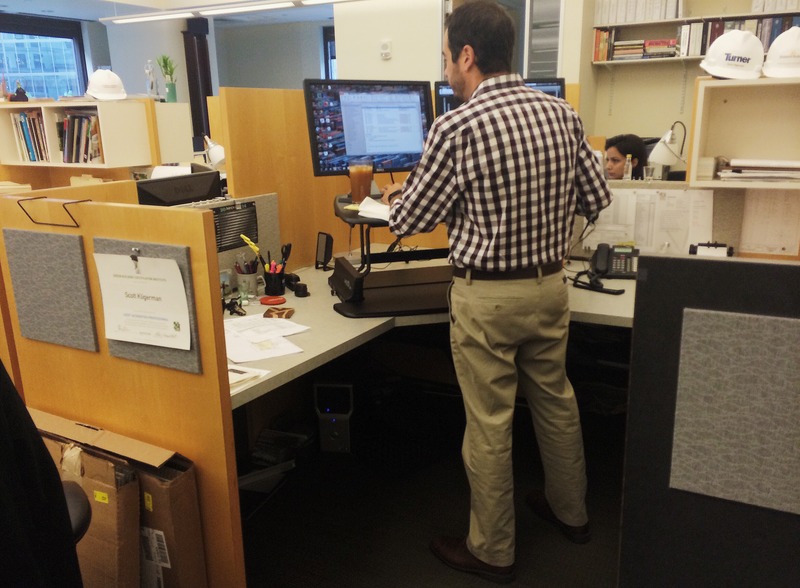 Senior associate Scott ate breakfast at his standing desk one morning. 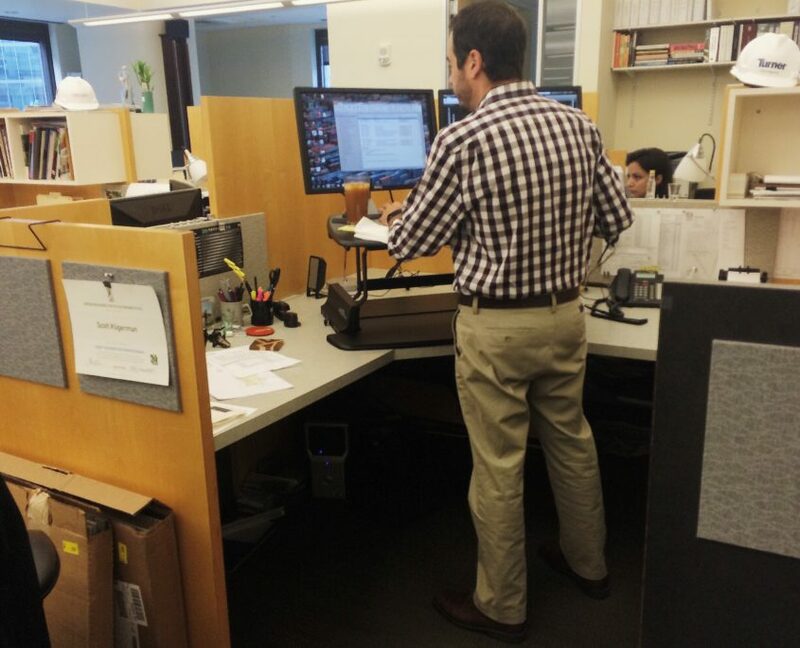 He definitely read our post from earlier this week, 5 Reasons to Stand at Work. 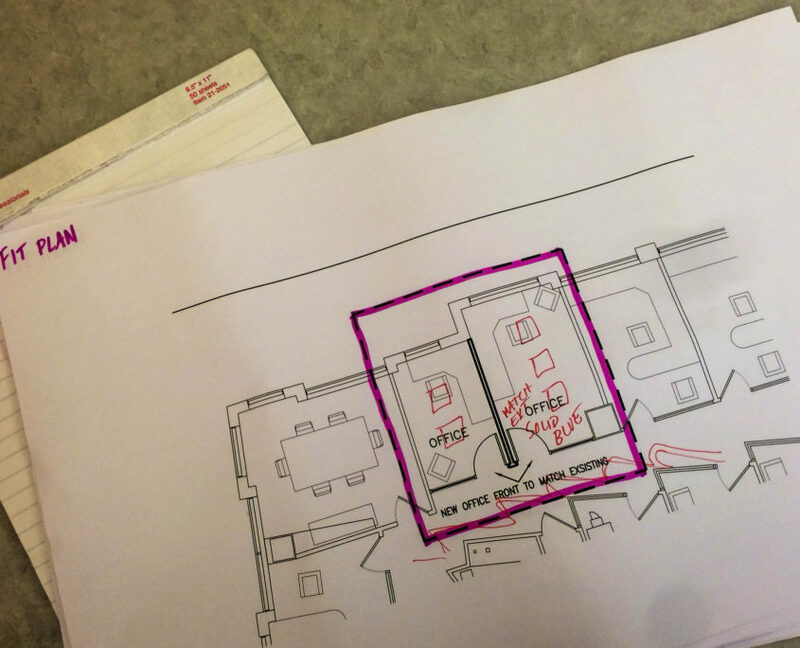 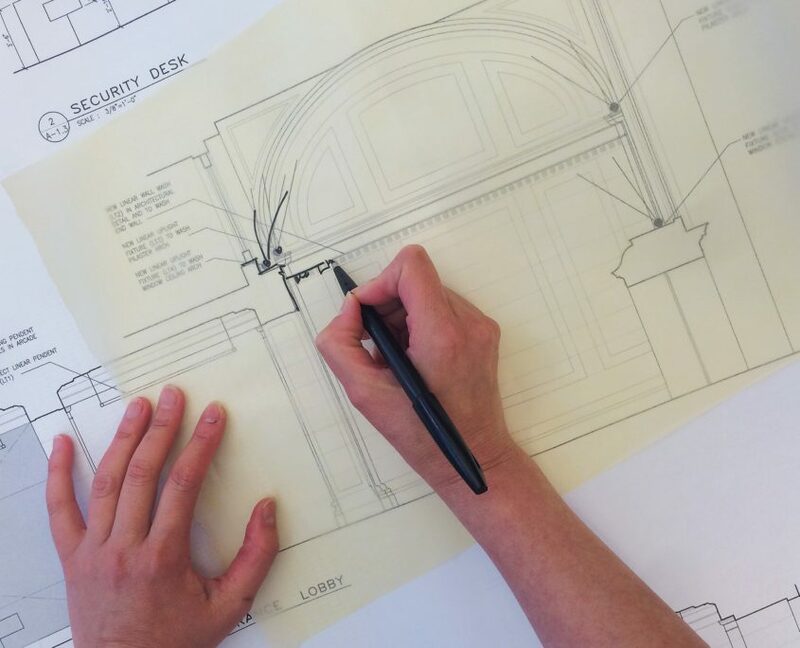 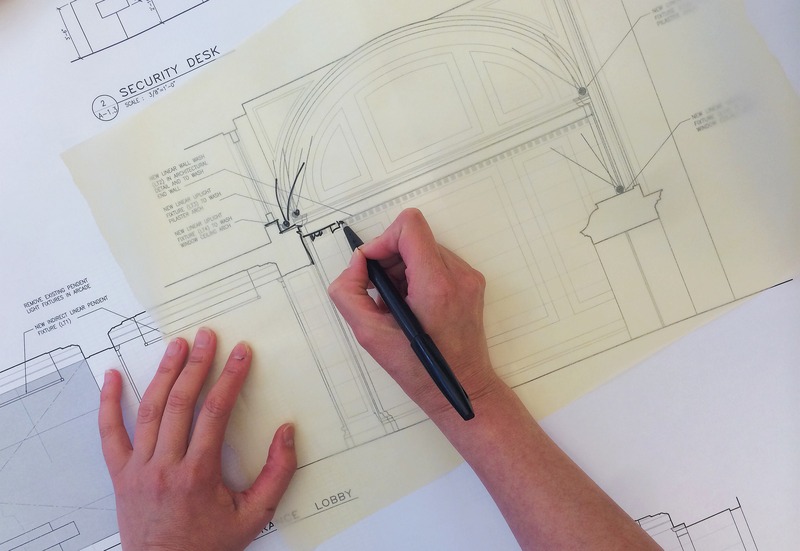 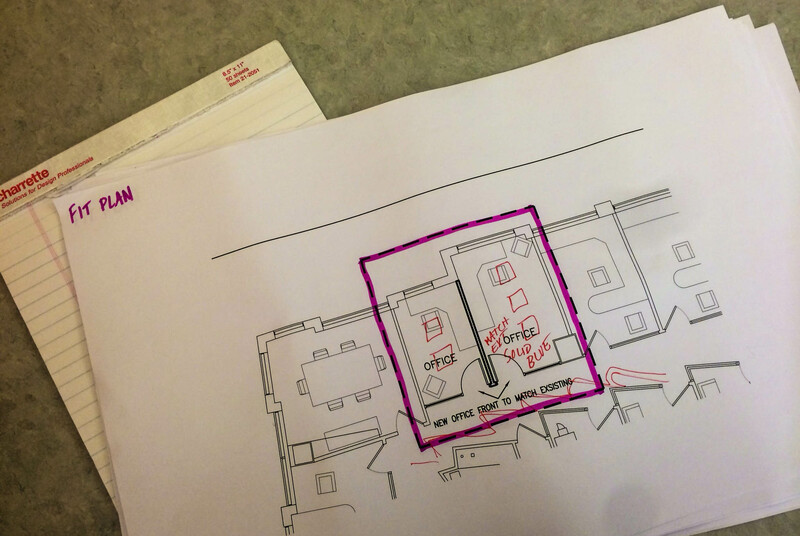 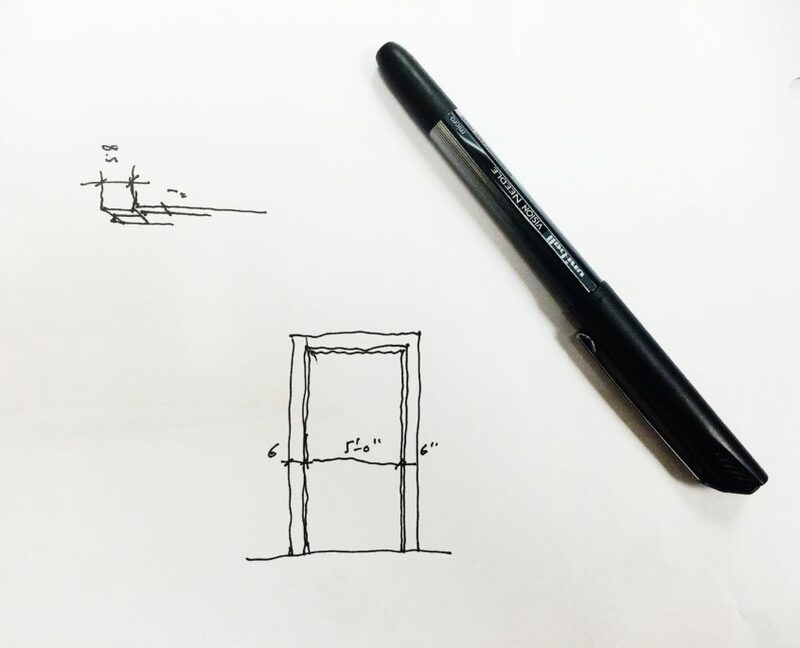 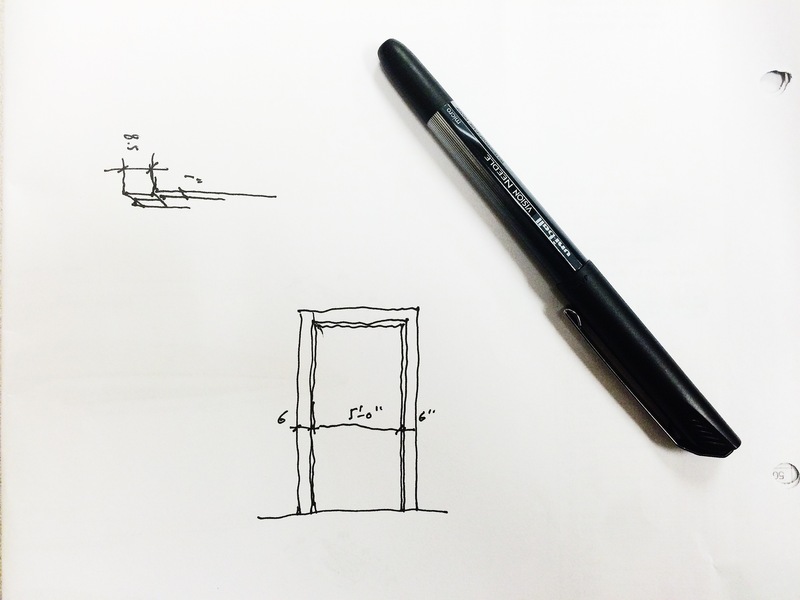 Principal designer Long produced a quick sketch and notes for a new glass entry door while on a recent site visit. 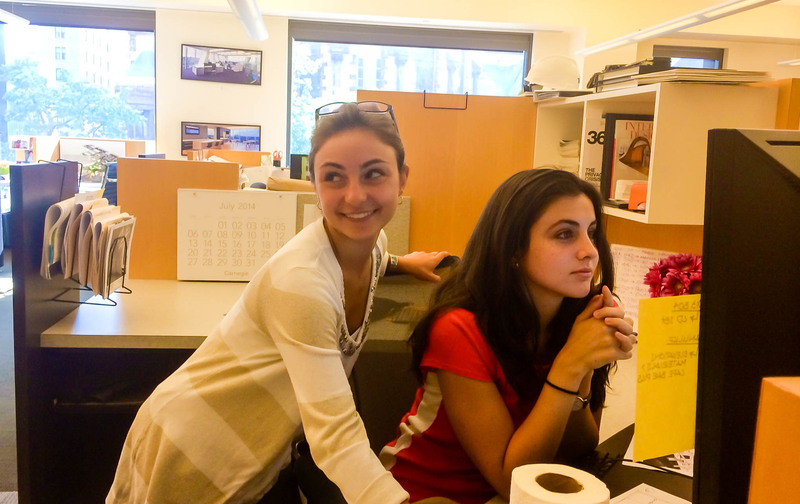 Design intern Cassandra flashes a smile while our newest designer Jenna goes over a drawing with her. 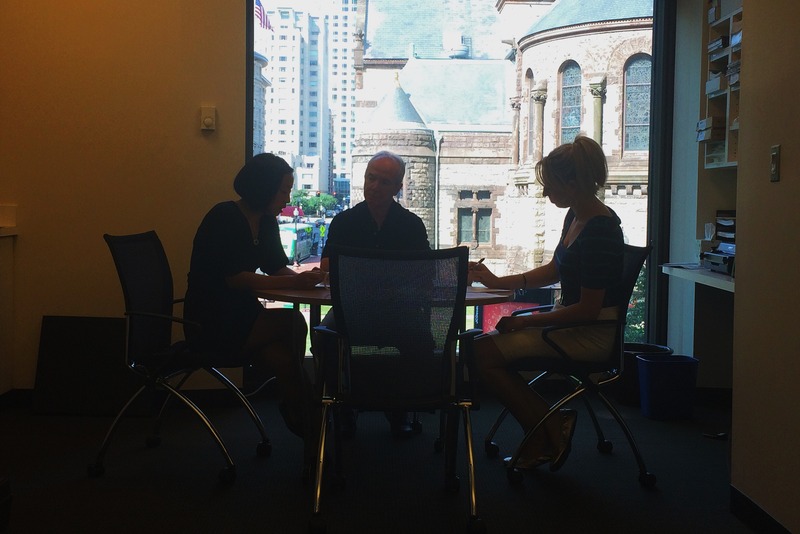 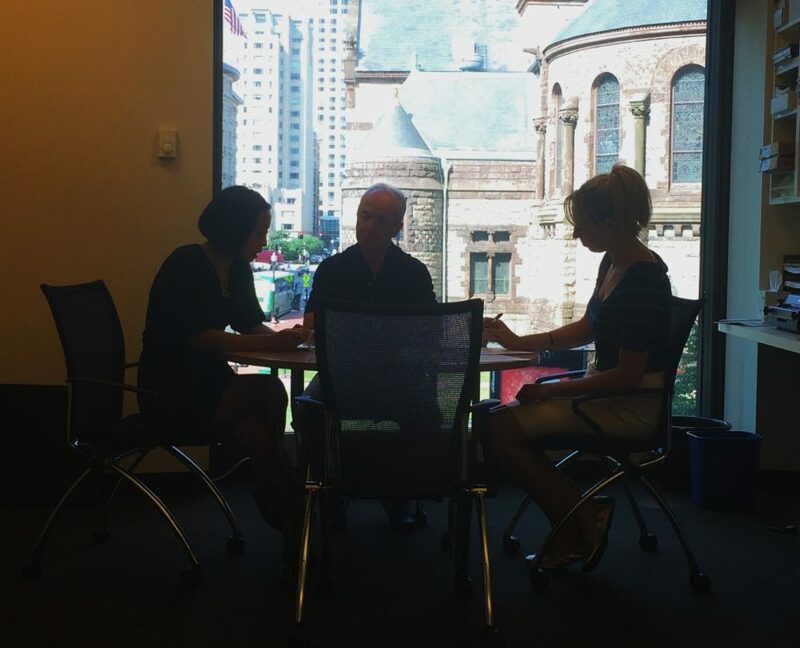 VC partner Bob met with senior associate Marilyn and our marketing manager, Elle, to work on an upcoming proposal. 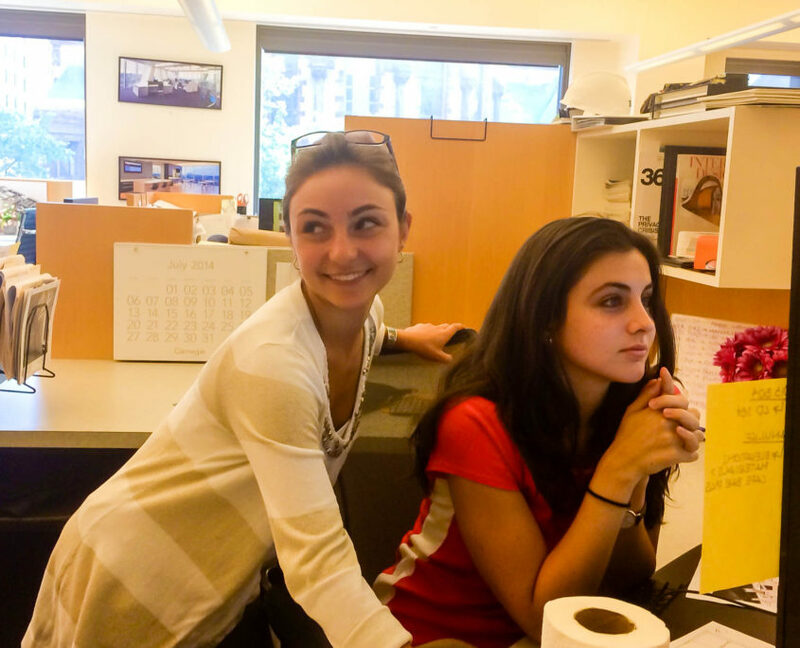 And no that’s not a fake background. 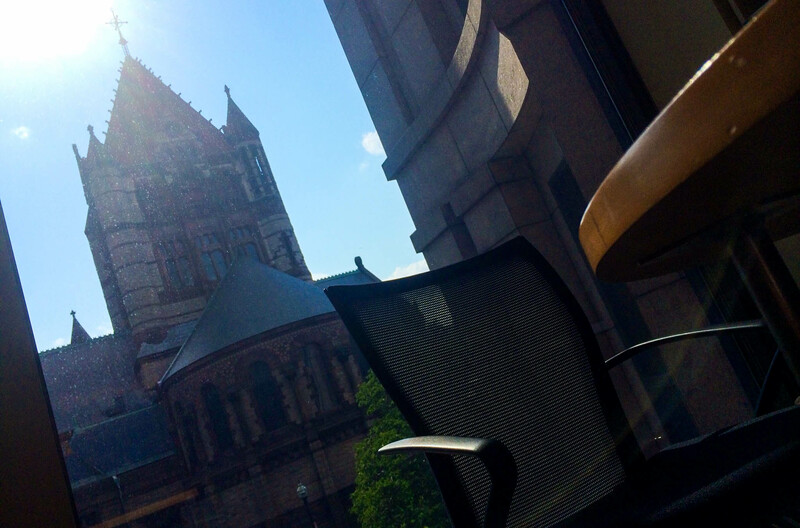 We’re lucky to have such incredible views from our office.